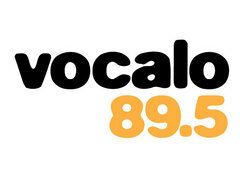 Vocalo.org is the media you make. And there are a lot of ways to make media. You can use your telephone and call in your favorite stories. You can attend training or use our online tips to learn audio editing. You can upload videos, music, interviews, and commentary, all of which may end up on the airwaves during our live broadcast at 89.5 FM.